Walk, eat, sleep, repeat. Demand for walking tours are now spiking so high that suppliers can’t keep up. Come wander with us where wi-fi is weak but the spirit is strong – across the top of Spain and its most stunning landscapes. 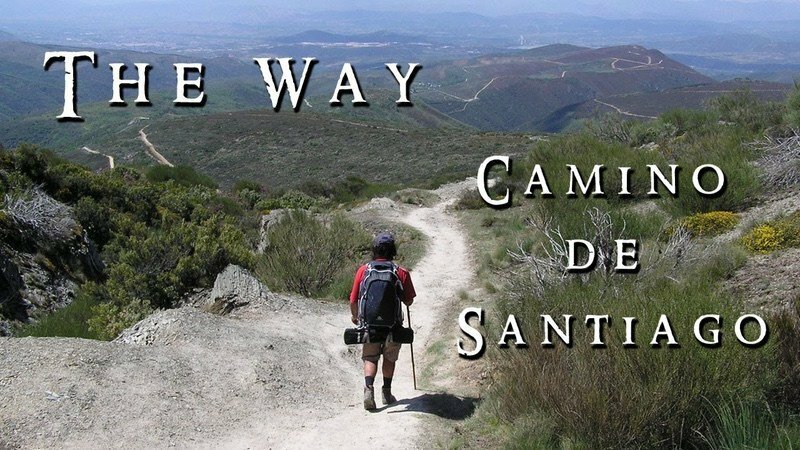 The “Camino de Santiago” – the world’s most famous walk, drawing over 217,000 each year. It’s far more than a hike. 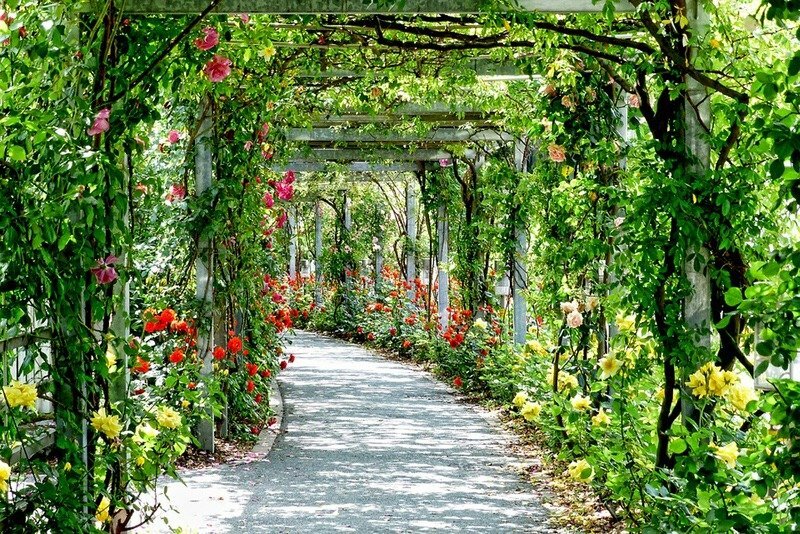 This is the walk of a lifetime, feeding your heart and your soul. 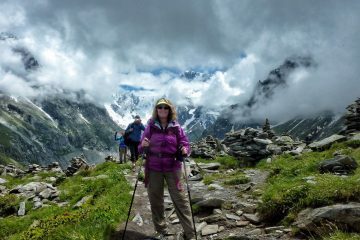 Perhaps you have seen the Martin Sheen’s movie “The Way.” Follow AFS on our epic hike as we lead you to Finnesterre, “The end of the world.” We’ve had many requests to present The Way with its 5 star ratings, so finally – it’s here and available only to a small group of AFS pilgrims. 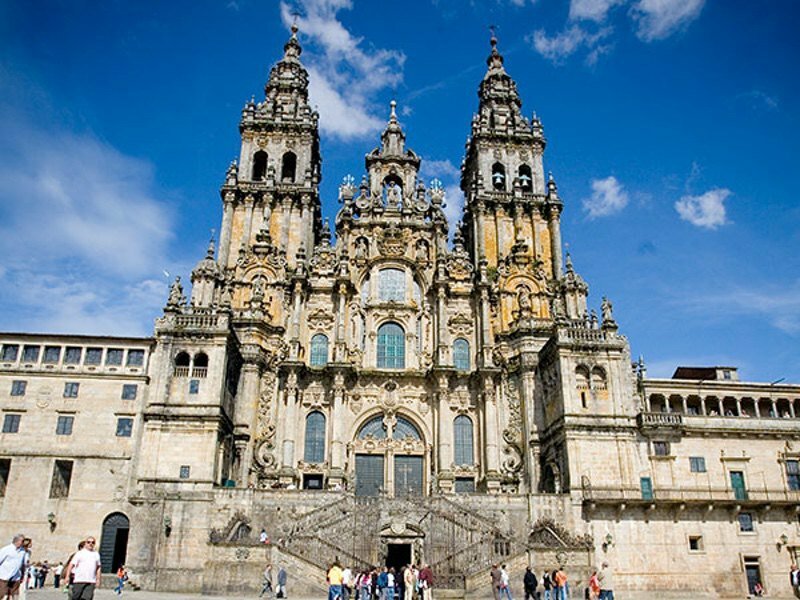 Over thousands of years, the faithful have retraced the journey of – once called “The Way of St. James.” This pilgrimage leads to the historic Cathedral de Santiago Compostela where the apostle was laid to rest. 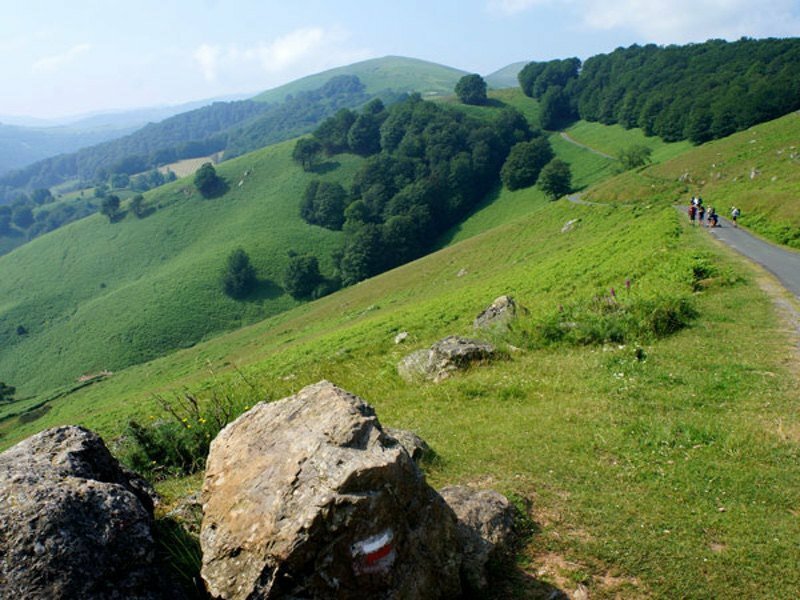 After months of research, I have chosen the Classic French Way to walk footpaths through the verdant rolling landscapes of the Galicia region. 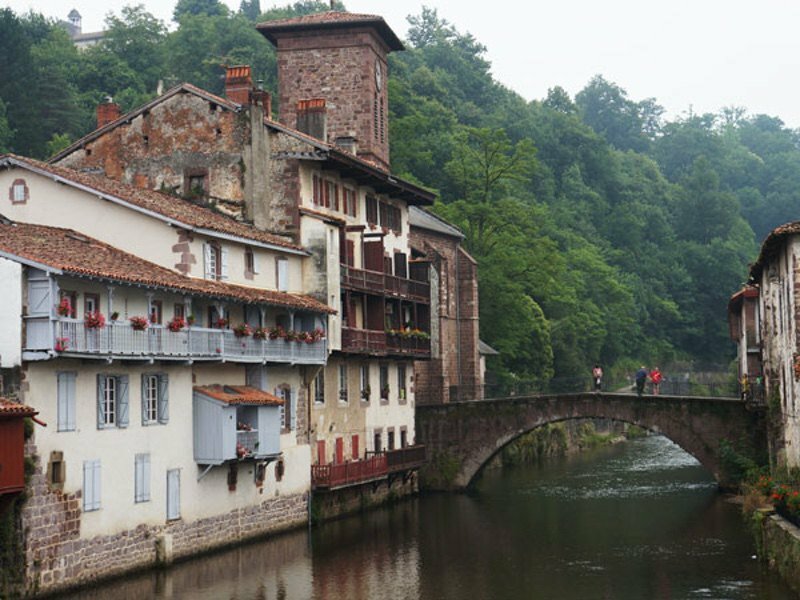 It’s the most popular route of all, once used in medieval times by the Templars. 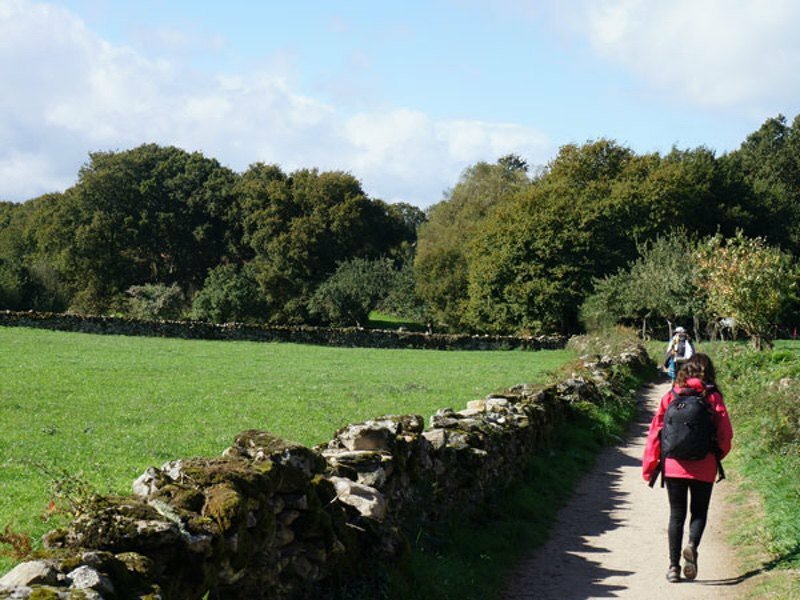 Our path is marked by historic churches, monasteries, convents and is dotted with colorful hamlets, farms and wineries. You’ll love resting in our charming inns along the way. 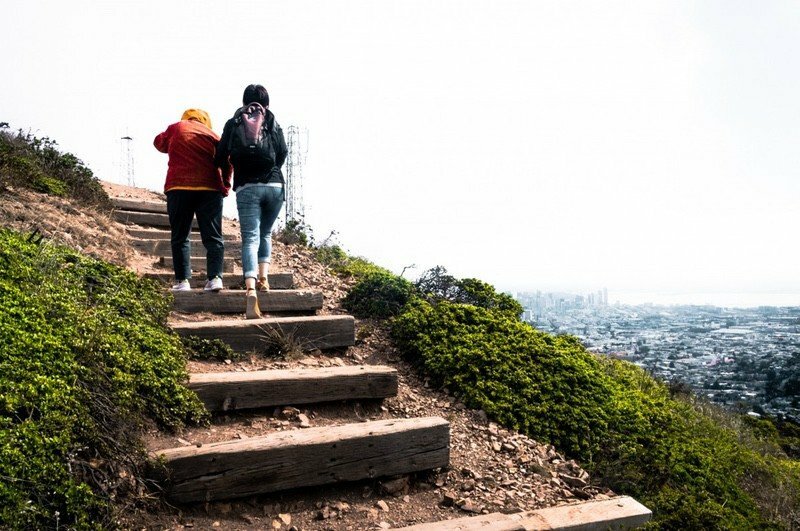 Gentle Steps: The journey can be challenging but our guide will assist. It’s pretty flat and no need to rush. Go on ahead or enjoy a leisurely pace, we average 4 to 7 hours daily. It’s not a race. 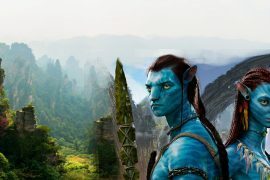 It’s an experience… a spiritual and visual journey! This is your vacation; to think, to breathe, to connect to nature with your steps and the direction they take you. Joy bombs: You will meet hundreds of like-minded fellow pilgrims from all walks of life as you continue your journey. 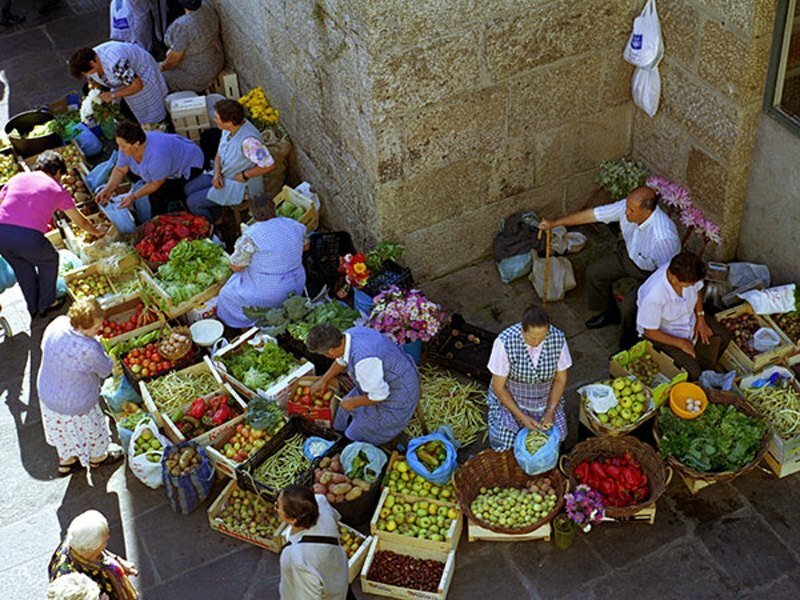 Discover local traditions. 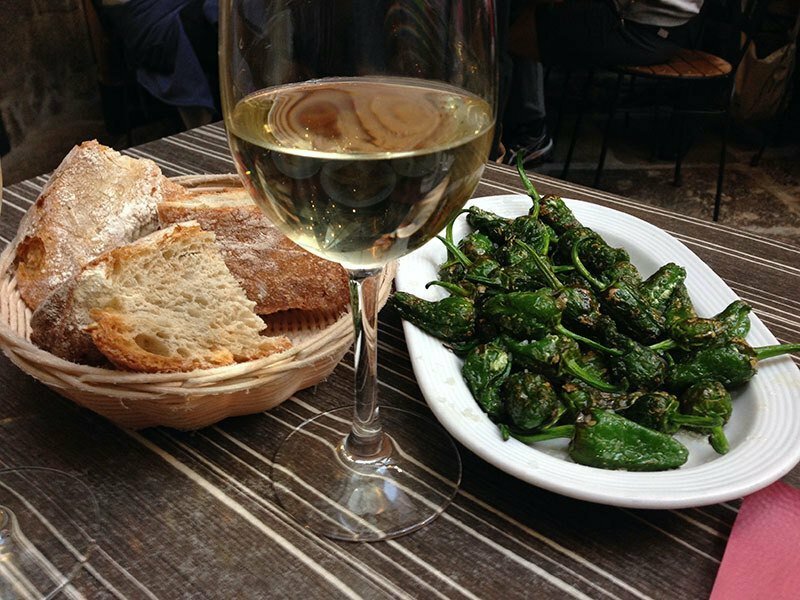 Taste the wines and regional specialties. Photograph unparalleled scenery. You’ll get your exercise on! 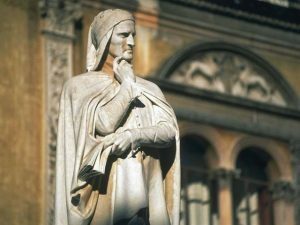 Our accomplishments will be rewarded at the end at the exclusive Pilgrim Mass to receive our Compostela, official certificate of completion to bring home and frame for all to see. 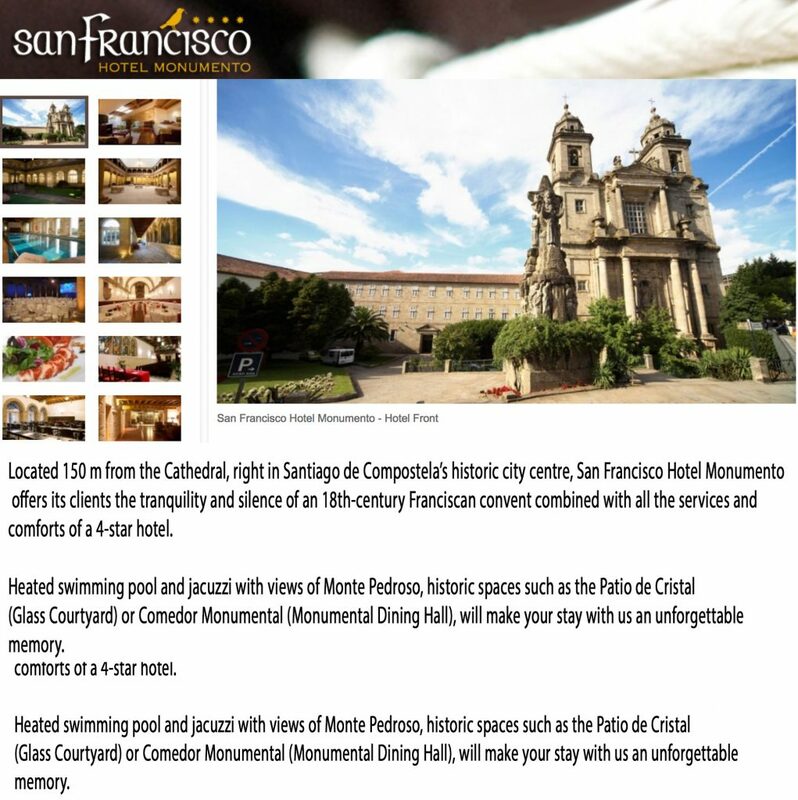 Our last day is in the magical UNESCO city of Santiago where we stay in the stunning San Francisco Monumento hotel. May is the best time, full of buzz and most popular. 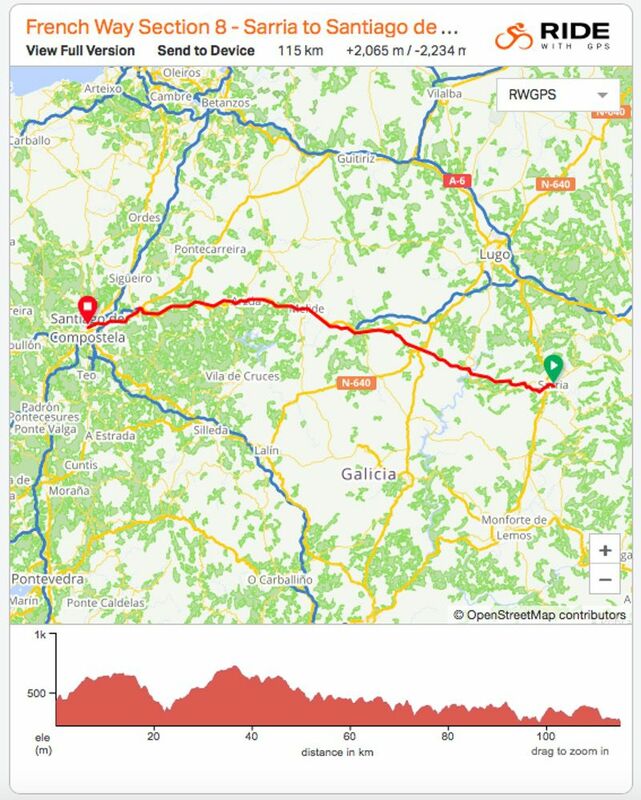 You may find the Way cheaper elsewhere but it is unescorted and there’s “no room at the inn.” We have secured hotels a year ahead with meals, guides, bag transport and support vans throughout. Spain’s new train system makes it so easy to add on other countries to this unique trip. 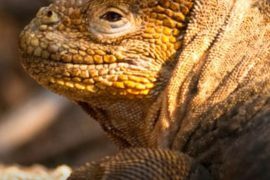 This is your chance to reboot your spirit into mindfulness and being fully present on each step through nature’s beauty. 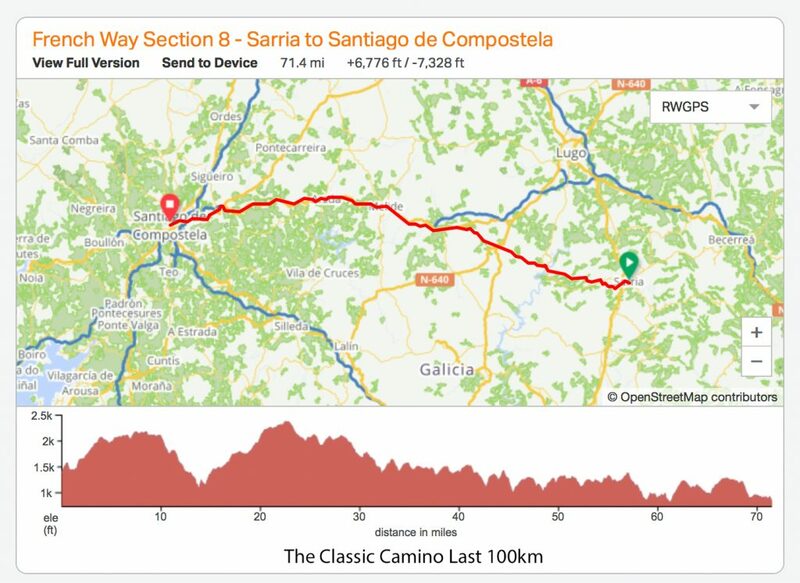 Come embrace the transformation this epic journey provides as we travel from Sarria to Portomarin – Palais de Rei – Aruza – Amendal – and finally –Santiago! If not doing group air arrive Santiago, Spain on the 27th. 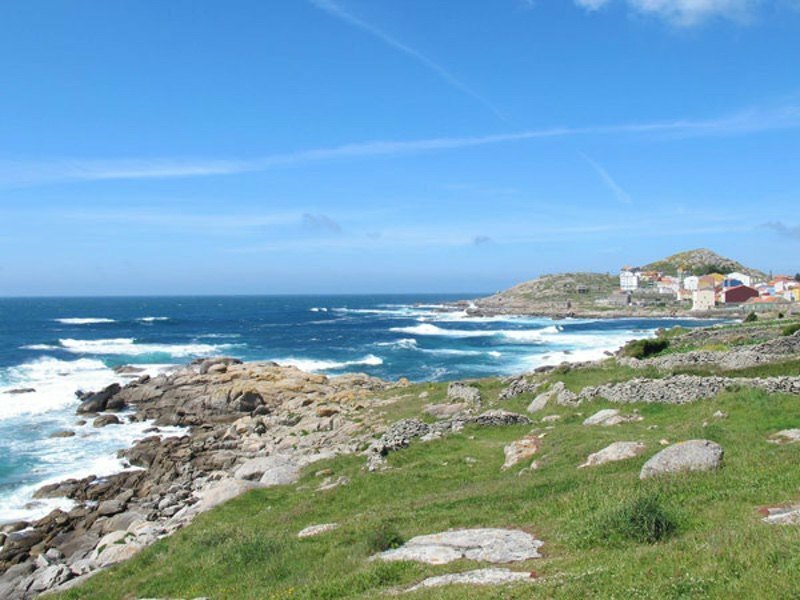 Then meet the group at airport on May 28 to transfer to Sarria. 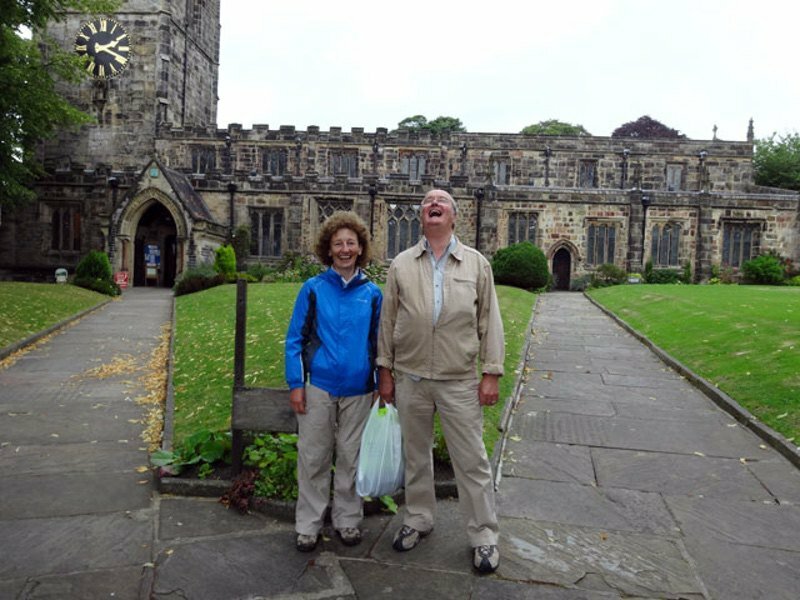 The group lands 840AM May 28.
known for its impressive churches and monasteries, most dating to the 13thcentury. Use your free time to explore and see the city’s wonders such as the church O Salvador, which is located on Rúa Maior. 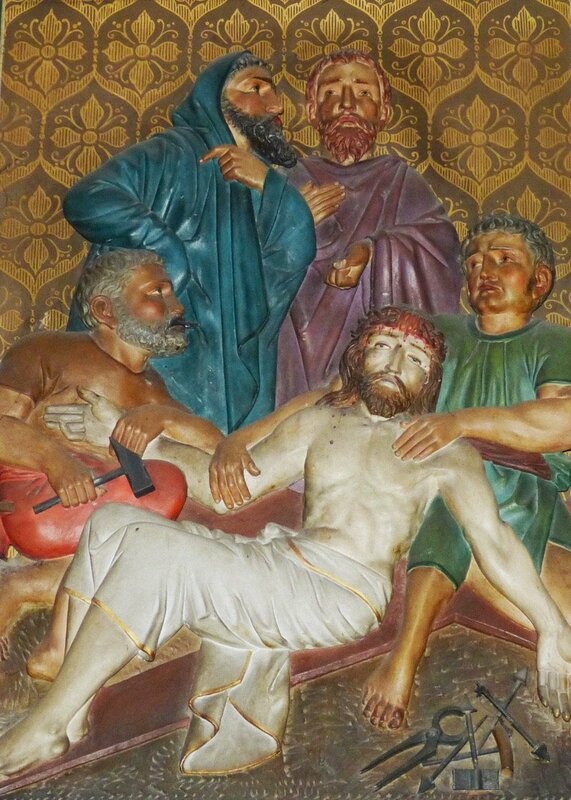 Equally important is the Convent of A Madalena that in the 13thcentury was used as a pilgrim hospital by Italian monks of the Order of the Blessed Martyrs of Jesus. 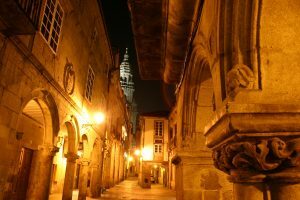 Sarria is a city with a rich artistic history and is now considered a capital of antiques. 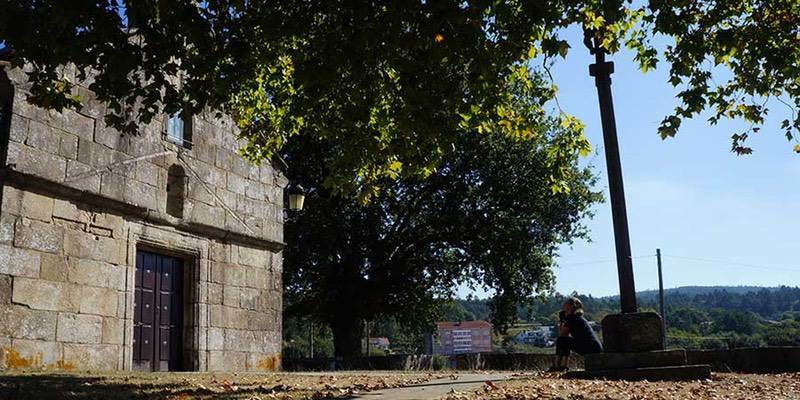 From furniture to art, people flock to Sarria. Our hotel is the Hotel Alfonso which overlooks the Sarria River and is a short distance from the town plaza. You will have the afternoon and evening to relax and explore to prepare for the journey that lies ahead. 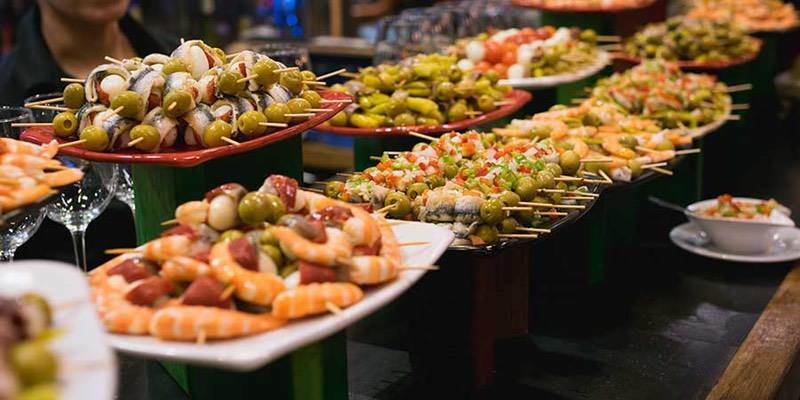 Sarria is a foodie haven, so enjoy some of the local cuisines. The specialty if a stew called cocido which is a mixture of wild game and seafood. Bear in mind this is the starting point for many on this pilgrimage so you may meet others who are there for the same reason as you. 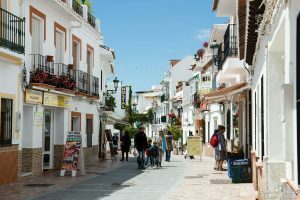 Following a hearty breakfast, we set out through Ponte Ribiera on what is about a peaceful 13 ½ mile walk through pretty villages and peaceful hamlets. As we exit town, we pass the Magdanela Convent and then head along quiet country roads that are shaded by oak trees. You will see a constant reminder that you are on the right path by the scallop shell symbols along the way. The shells are found on trees, roads and signs, pointing the Way. Medieval pilgrims wore the shells while traveling the path to symbolize their journey. Mercadoiro and Vilache. Each provides an opportunity for you to rest, have a snack or look around. 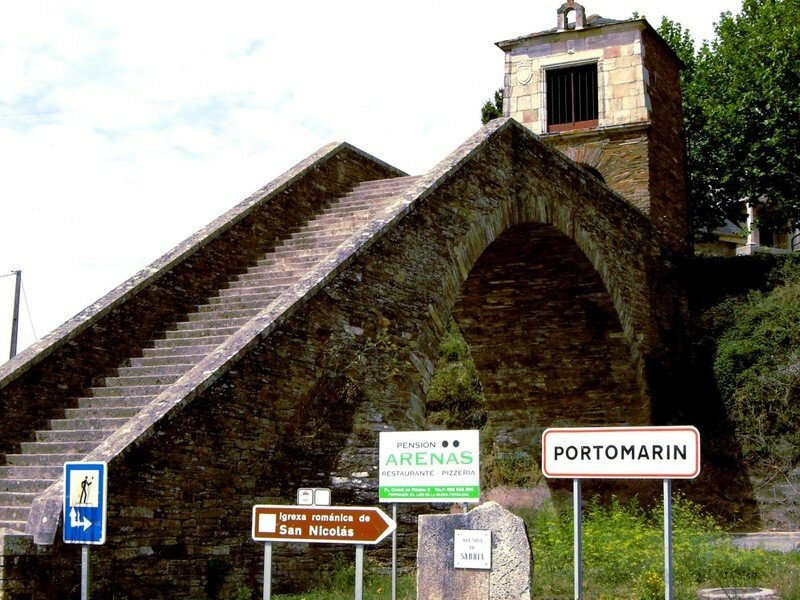 As we make our final steps to Portomarin, you will see a set to ancient steps and a structure known as the Chapel of the Clouds… this is the best and traditional way for pilgrims to enter Portomarin. The town has many cute shops and restaurants but you should take time to visit the church of the Knights of the order San Juan. It is both a temple and a fortress. 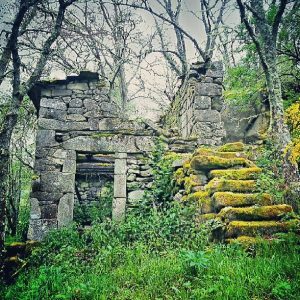 Once located in the Miño River Valley before it was flooded as a dam reservoir, the structure was moved stone by stone and reconstructed here. 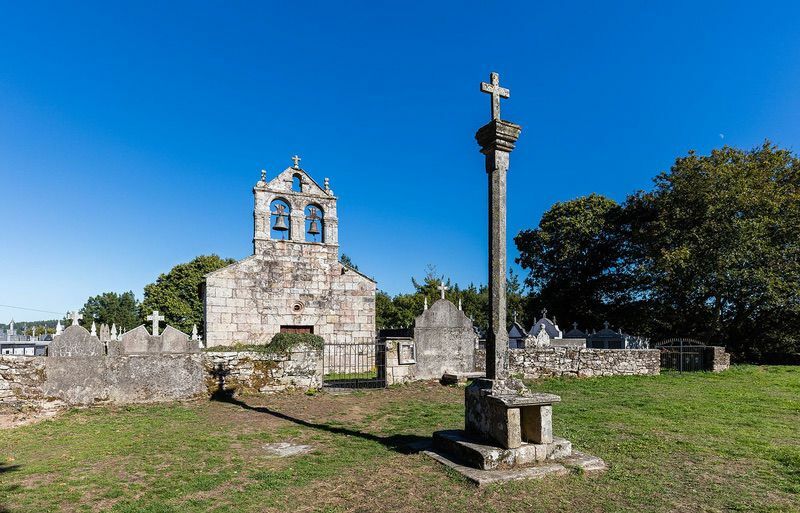 We’ll check into Poussada de Portomarin overlooking the Miño River and very close to the church of San Juan. If you really want to go local this evening, try a traditional meal of fried eels! 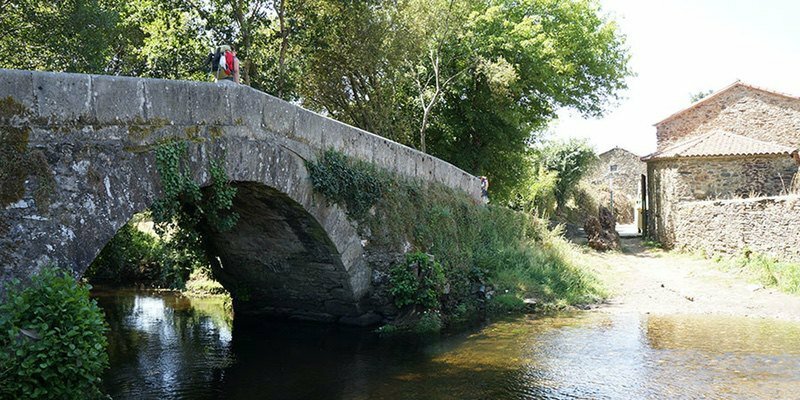 When we leave Portomarin, your Camino will cross the river Miño (Galicia’s longest river) and begin a steady slope uphill towards the Serra de Ligonde. Today ’s venture will cover about 15 miles through varied terrain. 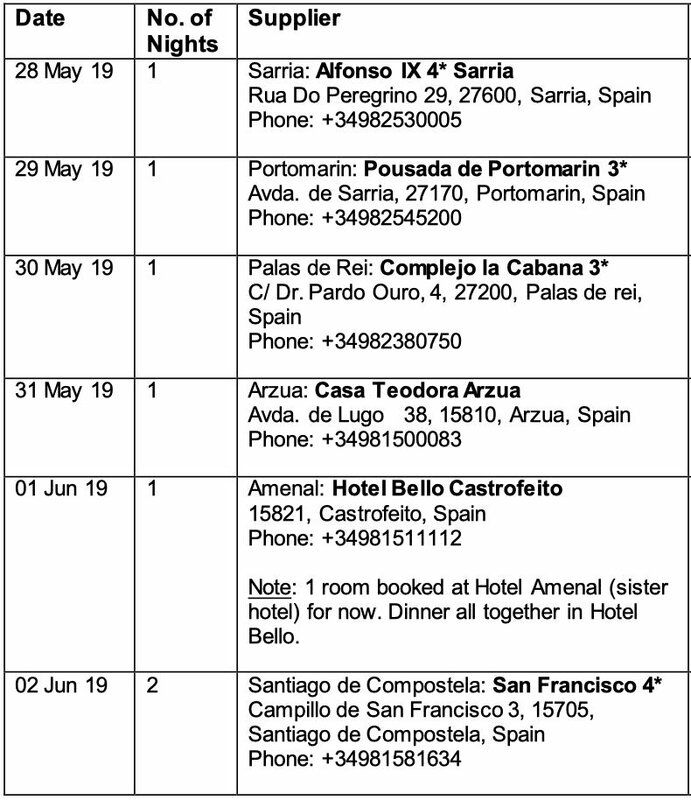 We’ll start in shaded forests and then go along some paved roads past hamlets such as Gonzar, Hospital de la Cruz and Ventas de Narón. Hospital de la Cruz was named after on old hospital for pilgrims which no longer exists. 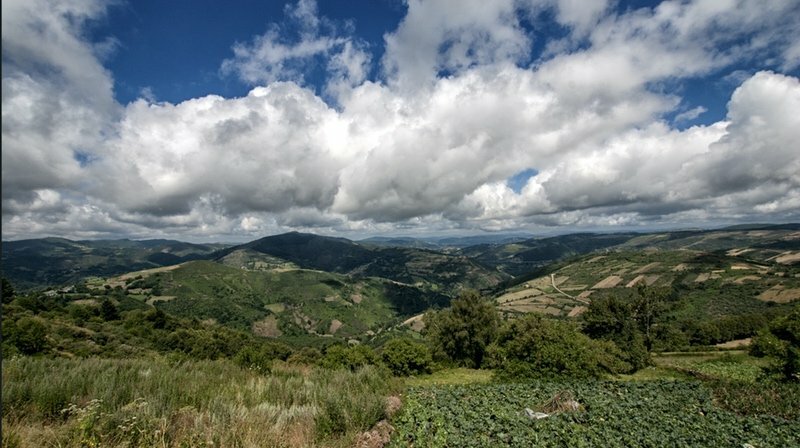 It is believed to be the site of a massive Christian – Moorish battle in the 9thcentury. 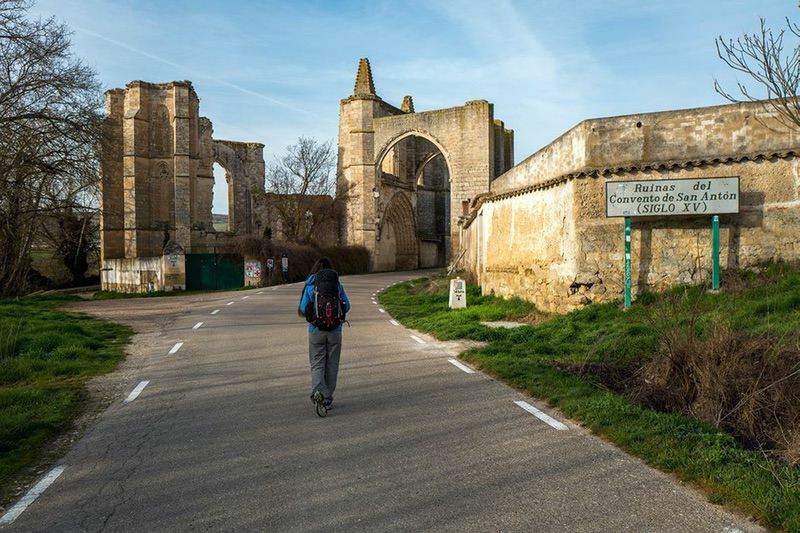 There are several churches worth stopping at along the way, but perhaps the one you should not miss are the Romanesque Church of Santa María in Castromaior and the Romanesque church in Eirexe, with its portal featuring a sculpture of Daniel with animals, as well as Pilgrim Santiago. We end today’s journey in the town of Palais de Rei. 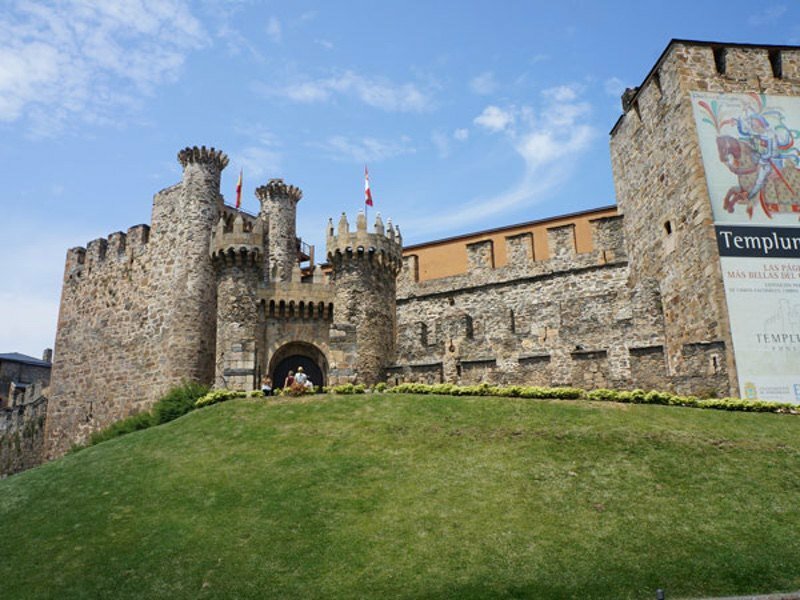 Among the places you should take in is Castillo de Pambrewhich is the most complete Medieval Fort in Galicia, dating from the 14thcentury. The scenery here can be breathtaking as we follow the Castasol River, crossing several streams. 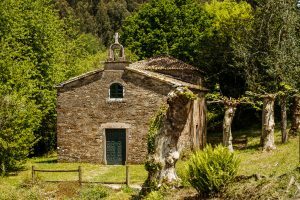 We’ll make our way along a forest track of eucalyptus and oak, bringing us to the village of Boente and the church of Santiago where the parish priest enjoys beckoning travelers to come in for a visit. 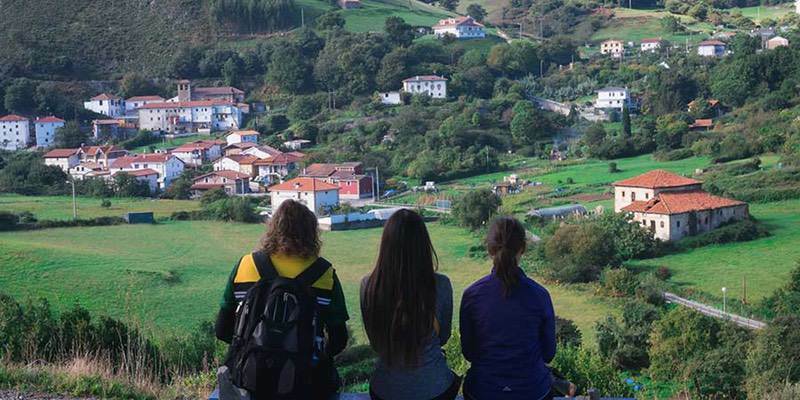 Next is the pretty, medieval hamlet of Ribadiso and finally the town of Arzúa which connects to the Camino in the North. 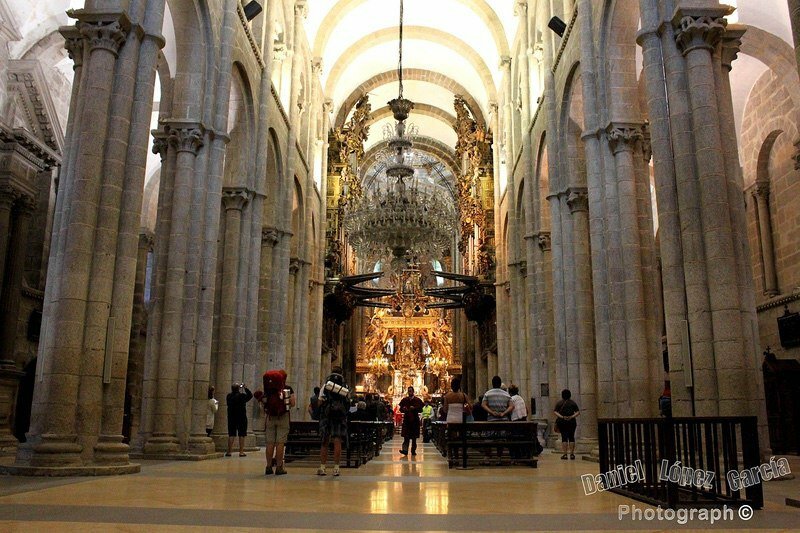 During your free evening, you should visit the churches of Santa María and A Magdalena. 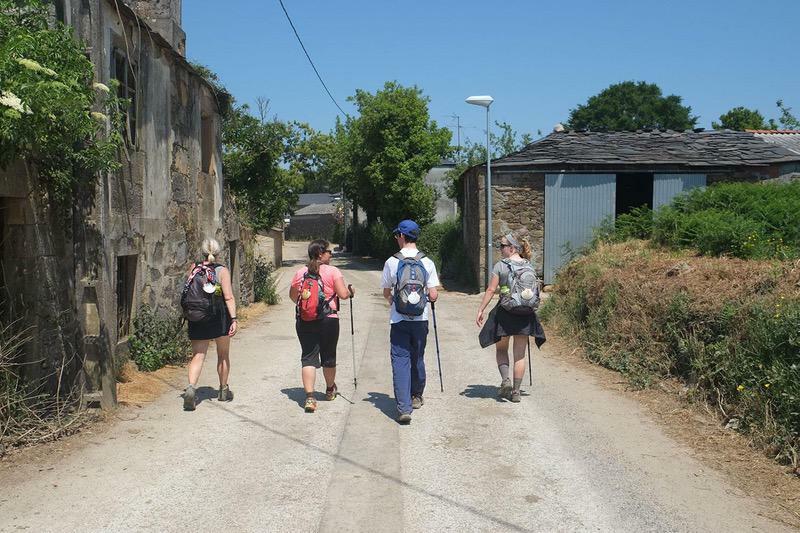 We overnight at the Casa Teodora, located right on the Camino. 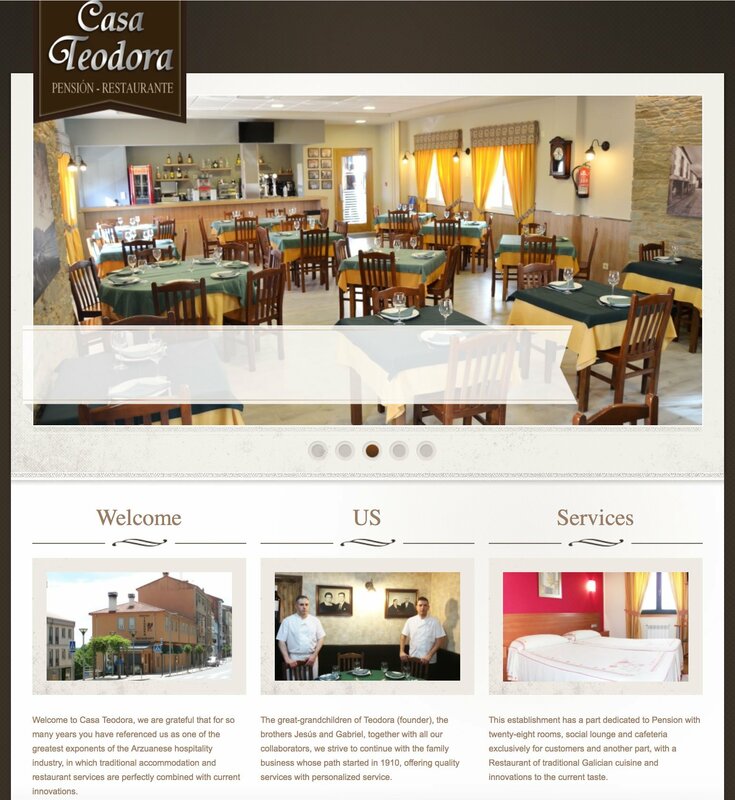 Recently renovated, the same family has run this pension for more than 100 years, catering to the needs of pilgrims. 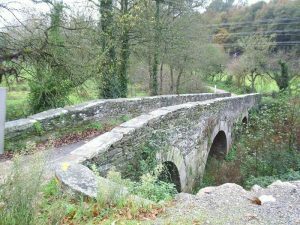 Today’s Camino will take us for about 14 miles through pretty woods, sleepy villages and across streams for most of the day. 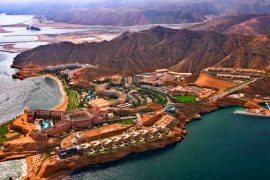 This is an easy trek and one that can be enjoyed by stopping for drinks and snacks in the various scenic hamlets along the way. You’ll notice that the closer you get to Santiago, the more joyous everyone’s spirit is and the more social the other pilgrims have become. In the town of Santa Irene, the chapel of Santa Irene is worth a visit. It is said Irene was murdered here but that the image of the Saint inside the shrine has healing powers. The nearby fountain is claimed by some to be the Fountain of Eternal Youth. The lovely hamlet of Rúa is an overnight spot for many but we will continue on along country roads and forest tracks to Amenal. We will overnight at the hotel Amenal, A modernized historic structure, it overlooks fields and forests but yet is convenient for exploring this little town. Savor every moment of the last 10 miles of our epic pilgrimage. 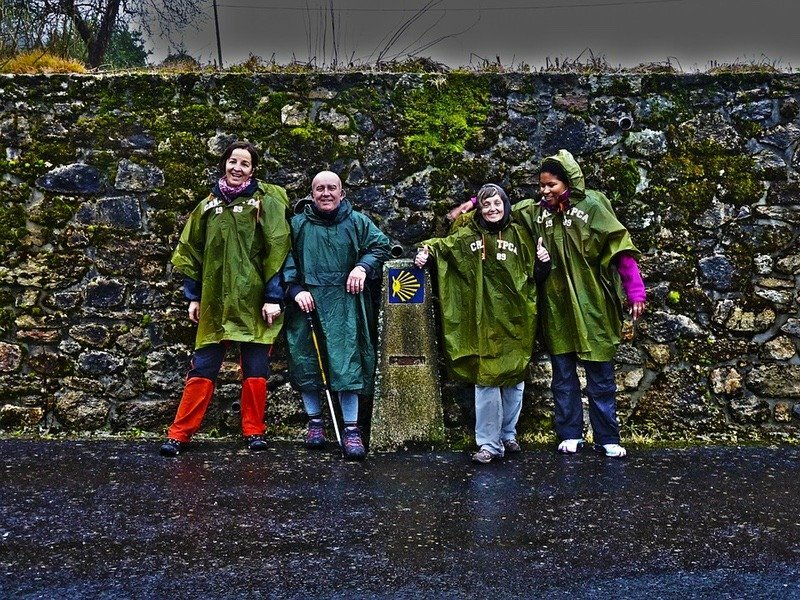 We will stop in Lavacolla on the outskirts of Santiago where for centuries pilgrims would come to wash in the waters on the river in preparation for their arrival in Santiago de Compostela. A shaded path of rows of tall eucalyptus trees line your journey to Monte do Gozo or Mount of Joy. From here we will catch our first glimpse of the spires of the cathedral in Santiago. 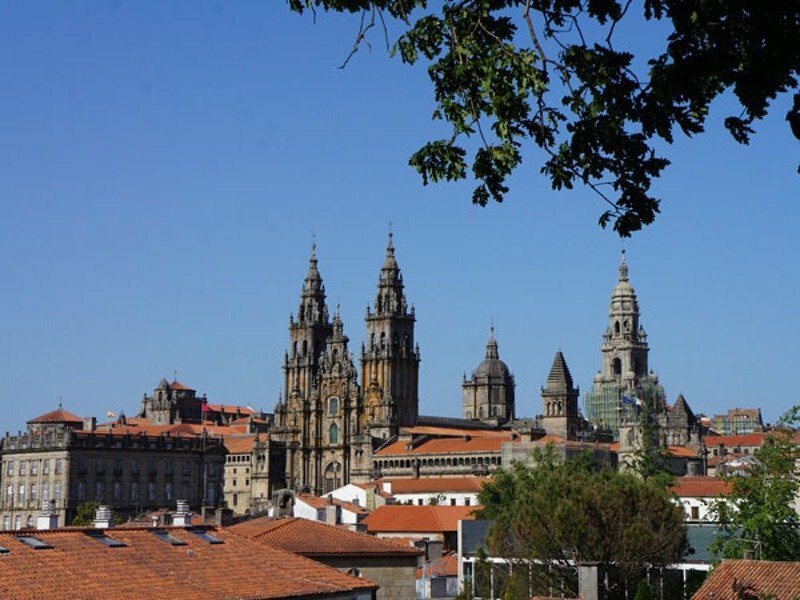 From here, we will be entering the city of Santiago and make a short walk to the historic part of Santiago and the Plaza del Obradoiro which is the town’s main square. we must register our arrival with the Pilgrims’ Office to make out pilgrimage completion official. We will then we enter the Cathedral itself to be a part of the Pilgrim mass. Held at noon, the mass begins with the reading out of the number of pilgrims who have been received in the Pilgrims’ Office in the last 24 hours, where they come from and where they started their pilgrimage. We then collect out certificates of completion. Afterward we can check into a property everyone loves, the San Francisco Monumento, a historic hotel that will give you well deserved pampering after your journey. We have the afternoon to explore quaint pedestrian streets of this gem of an ancient city which is a UNESCO World Heritage Site. 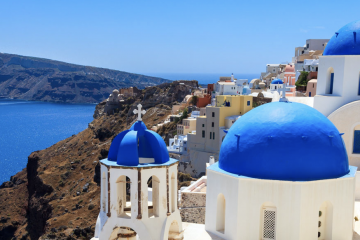 Known for its architecture and delightful atmosphere of spirit and culture, y9u will find not only pilgrims but also locals and students, enjoying a few bites and socializing over a glass of wine in the many bars, restaurants and cozy cafes. 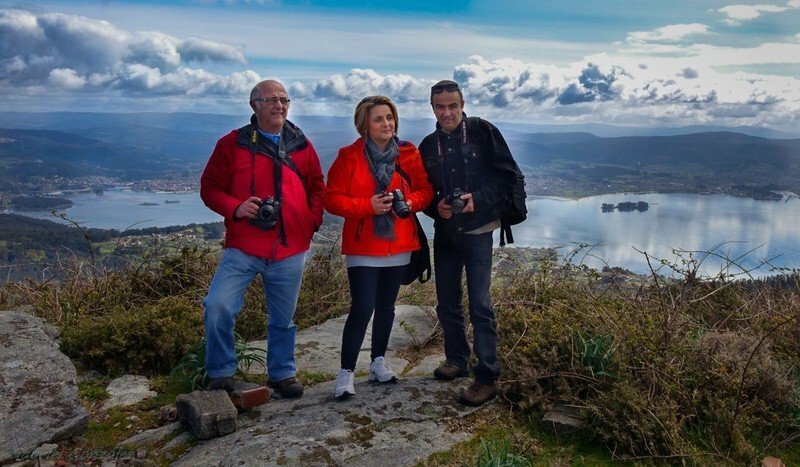 Jun 3 – Explore on own or join on or Optional Finisterre Day Tour! 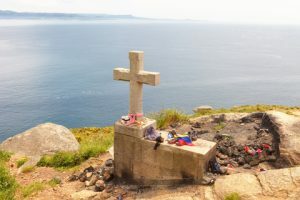 Finisterre Day Trip Tails located in the lighthouse at Cape Finisterre, where pilgrims burn an object that led to the Camino Santiago, the end of pilgrim route to Santiago de Compostela. Free at last. AFSers love Leisure time! This small group, limited to 28 will sell out fast. This is on a lot of people’s bucket list. AFSers are begging us “Please do The Way” so do not delay!!! 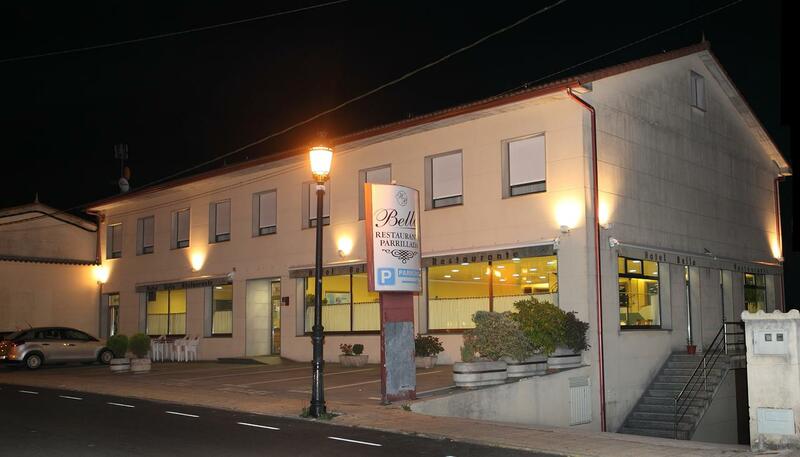 Ideal for Pilgrim’s Rest in the heart of the province of Lugo. A four star hotel with modern and functional facilities, located in a new building. The Alfonso IX hotel is a modern hotel located in Sarria (Lugo), on Camino de Santiago, a 114 km walk from the capital of Galicia. 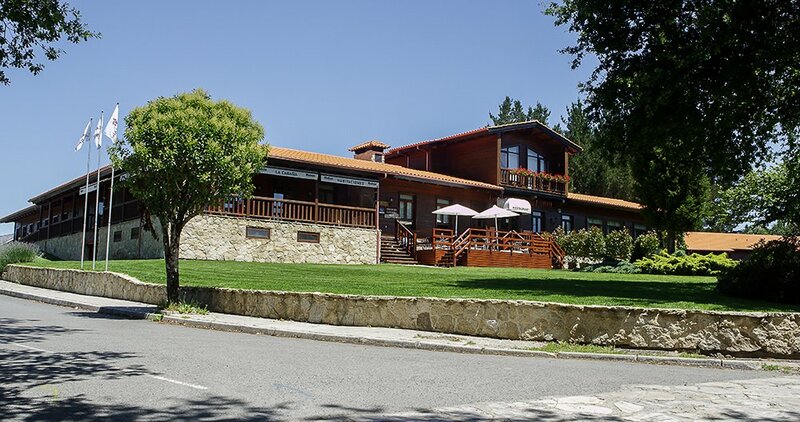 It is a four-star accommodation located in the growth zone of the village, next to the Sarria river and where the word rest comes true. 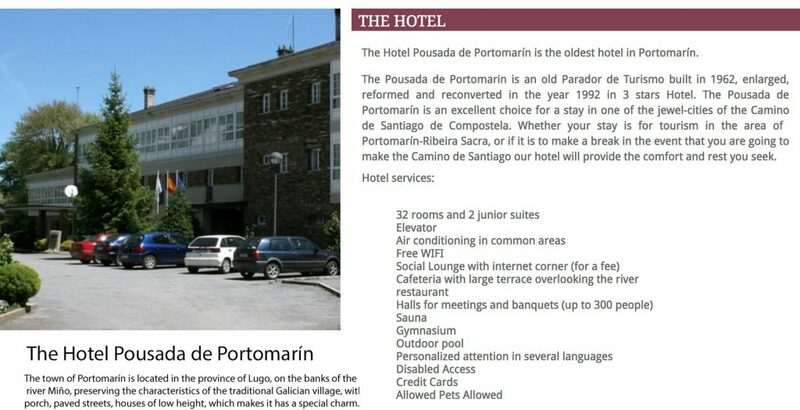 It opened in 1993 on the occasion of the Holy Year of Compostela and has 60 rooms, three of which are suites. 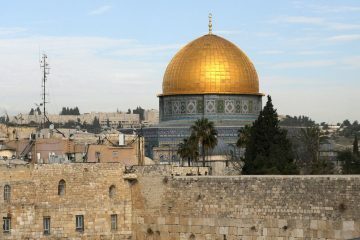 It is an ideal accommodation for tourists and pilgrims. Wifi, restaurant, hairdyer. 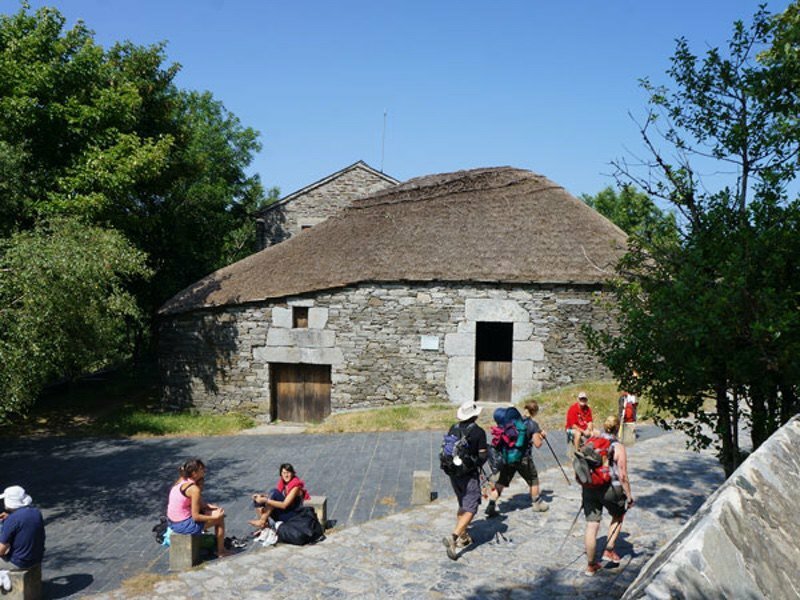 Set along the famous Camino de Santiago pilgrimage route, this relaxed hotel in a log cabin with an annex is 1 km from the quaint Palas de Rei town and 9 km from the 14th-century Castillo De Pambre. The straightforward, wood-paneled rooms offer TVs and complimentary Wi-Fi; some have extra beds. Parking and breakfast are free. Other amenities include a laid-back restaurant, and a casual cafe offering outdoor seating, as well as gardens. 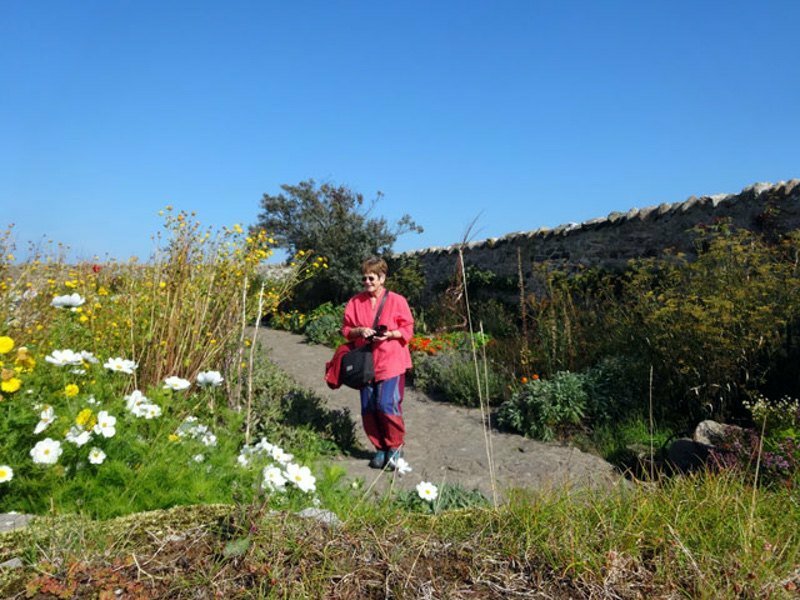 This modest hotel in a low-rise building is 10 km from the Monte do Gozo pilgrim’s hill and 16 km from the Belfry of Berreo church. The room has an en-suite bathroom, as well as free Wi-Fi, flat-screen TVs and desks. Complimentary amenities include continental breakfast. There is also an airy restaurant with a casual bar and wine cellar.